Love Park, officially known as John F. Kennedy Plaza, is a plaza located in Center City, Philadelphia, Pennsylvania. The park is nicknamed Love Park for its reproduction of Robert Indiana's Love sculpture which overlooks the plaza. 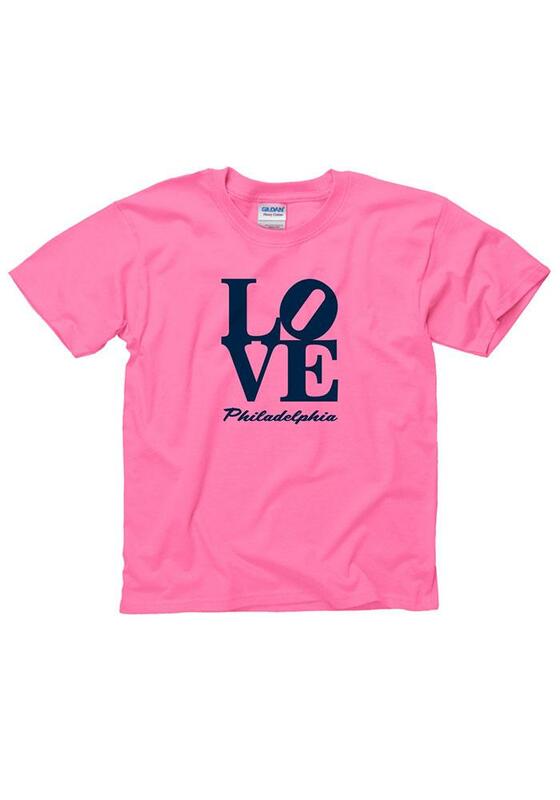 Have the kiddos show their LOVE for Philadelphia with this pink short sleeve cotton tee!